In another setback to country's ambitious defence expansion plans, a leak of documents pertaining to details of the elite Scorpene submarines has come to light. India signed a $3.5 billion contract with the French DCNS to manufacture six Scorpene class submarines in 2005. The first of the lot, being manufactured with the Mazagaon Docks Shipbuilders Ltd is scheduled to be inducted later this year, according to some reports, four years behind schedule. The French government owns a two-third stake in the DCNS, the shipbuilding firm. First reported by The Australian, the massive leak of top secret information, said to be going into almost 22,400 pages, has details of the combat capabilities, including the torpedo launch system, noise, periscope system et al. According to the report, the documents have details of: "the stealth capabilities of the six new Indian Scorpene submarines, the frequencies at which the subs gather intelligence, the levels of noise the subs make at various speeds, diving depths, range and endurance, magnetic, electromagnetic and infra-red data, specifications of the submarine's torpedo launch system and the combat system, speed and conditions needed for using the periscope, propeller's noise specifications, radiated noise levels when the submarine surfaces." This may compromise India's naval capabilities, as it faces a severe challenge from China, especially in the Indian Ocean. Indian Navy officials maintain that while they are investigating the leak, it may not have compromised the operational capabilities of the submarines. Defence Minister Manohar Parrikar, too, said it appeared to be a case of hacking. "I have asked the Navy chief to study the entire issue about what has been leaked, what is there about us and to what extent. It came to my knowledge at about 12 AM. What I understand is there is a hacking. So we will find out all this," Parrikar told the media. A clear picture may emerge in the days to come. The Indian Navy, at the moment is saying that the damage doesn't seem to be substantial. The Indian government has also sought the details of the leak from DCNS. Indian government sources reportedly also say that they suspect the leak did not originate in India even as DCNS claims that they believe the classified information may have been leaked from the country itself. The report in The Australian, too, says that the origin of the leak seems to be France and that a former naval officer who was working as a sub-contractor for the french major till 2011 may have scooped the documents and handed them over to another firm in the South East Asia and that it was subsequently sent to another company in the region before it found its way to an Australian company. The report also states that it is not clear whether the foreign intelligence agencies have had access to the cache of documents. Interestingly, the Indian defence establishment, too, got to know of the leak through reports in the Australian press and not through DCNS, as should have been the case. The DCNS, while appearing to be cagey about the implications of the leak on the Indian submarine project, it seemed more concerned about the future of its $50 billion deal with the Australian government for 12 stealth submarines. "Uncontrolled technical data is not possible in the Australian ­arrangements," the company was quoted by the Australian as saying. "Multiple and independent controls exist within DCNS to prevent unauthorised access to data and all data movements are encrypted and recorded. In the case of India, where a DCNS design is built by a local company, DCNS is the provider and not the controller of technical data," the Australian reported citing DCNS. The DCNS, according to a report also implied that the leak could have been a result of inter-industry rivalry. The fact that these documents were sent to Australia, do seem to suggest that there could be an element of sabotage. "There is India, Australia and other prospects, and other countries could raise legitimate questions over DCNS. It's part of the tools in economic war," a DCNS spokeswoman was quoted by Reuters. Apart from India, Chile, Brazil and Malaysia, use a version of the same scorpene-class submarine. Apart from the deal on the six submarines, the Indian government recently signed a government-to-government contract for 36 Rafale jets manufactured by Dassault Aviation, France. The deal is said to be in it's final stages with hectic negotiations from the Indian side to bring down the prices of the jets, according to reports. This is not the first controversy around scorpene-class submarines manufactured by the French firm. 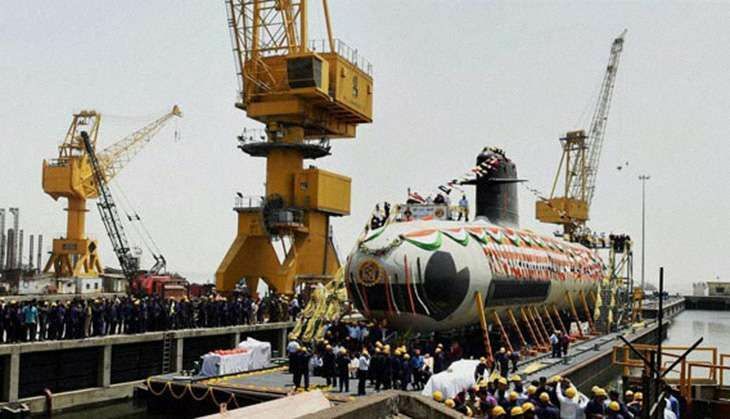 The Scorpene deal, signed in 2005, was in the midst of a controversy over allegations of kickbacks, by the then senior leaders of the BJP, which was the primary opposition party. It was alleged that a sum of over Rs 1100 crore has changed hands between Thales and the middlemen, including defence dealer Abhishek Verma, to ensure that the deal sails through. The case was investigated by the CBI. Interestingly, in 2015, the Centre told the Delhi High Court that there was no evidence of kickback in the 2005 deal with Thales. Meanwhile, in February this year, the French authorities have formally launched a probe on whether Malaysian Prime Minister Najib Razak was paid kickbacks in a $1.2 billion deal in 2002 for the purchase of two submarines. A former president of Thales International Asia, allegedly paid the money to one of Razak's associated to win the deal.